If you are one of California's mortgage brokers, chances are you've been having a pretty good year. Real estate in California cities is among the hottest and most in-demand in the nation right now, and, according to The Union, the California Association of Realtors doesn't see that ending any time soon. Realtor.com recently released a report ranking the top 20 hottest U.S. markets for October 2015. Of the top 10, eight of these real estate hotbeds were located in California. Realtor.com's Chief Economist Jonathon Smoke led a team in conducting the survey, which measured supply and demand levels based on the median number of days homes stayed on the market. 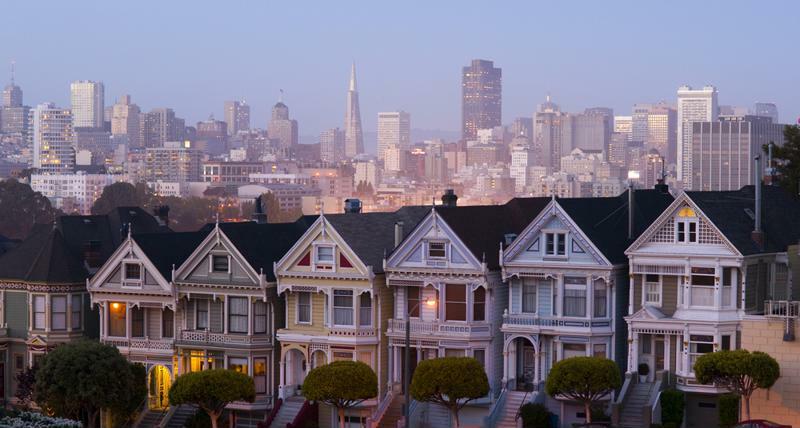 "California real estate is among the most in-demand in the nation." The California cities that made the top 10 were: San Jose, San Francisco, Vallejo, San Diego, Sacramento, Santa Rosa, Yuba City and Los Angeles. In fact, CBS recently reported that brokers who work in Los Angeles and its surrounding area are hitting the jackpot. The CBS report noted a study by the Bureau of Labor Statistics, which found that the housing market in Los Angeles will continue to grow as unemployment decreases and consumers begin to spend more. Realtor.com reported that the cities on its list gain between 1.8 and 3.6 times more views than the national average. The survey also found that it takes between 30 and 47 fewer days to sell a home in these cities than it does in the rest of the country. As Home Buying Institute put it, "If you're selling a house in one of these metro areas, you're in a better position than sellers elsewhere in the country." HBI explained that Realtor.com's top cities list has been pretty consistent these days, and as a result it is likely that California will remain a hot real estate contender as we move into 2016. According to HBI, California's demand for homes outstrips its supply. This disparity results in greater competition among potential buyers, which also creates higher prices. While there has been an increase in the number of homes being built throughout the state, HBI reminded us it will take time for the supply to truly grow. Thus, demand is likely to slow, but will remain strong in 2016. The Union reported on a recent presentation to the Nevada County Association of Realtors by Leslie Appleton-Young, CAR's vice president and chief economist, who discussed how California's declining unemployment rate will affect the housing market. Appleton-Young said CAR forecasts that the California unemployment rate will move from 6.3 percent in 2015 to 5.5 percent in 2016. This will create more income-earning citizens who will be more likely to reach out to mortgage brokers in search of a new home. Appleton-Young cautioned, however, that the small amount of available property, along with rising costs, will be a limiting factor for potential buyers. She outlined several reasons why the demand for property currently outweighs the supply, including the fact that there are fewer properties in foreclosure, and also that many investors have decided against selling their properties in favor of renting them out. Still, now may be a good time to become a mortgage broker in California. Indeed reported that the average salary of a real estate broker in Los Angeles is $110,000. This is 7 percent above the average earnings real estate brokers earn in the U.S.
Impac Mortgage Corp. Wholesale specializes in connecting mortgage professionals with their customers. Impac Mortgage Corp. Wholesale's wide variety of residential mortgage products is guaranteed to help brokers provide the best possible services to potential buyers. What will be the hottest real estate markets of 2016? What does the mortgage market look like for brokers these days?